Fused Network Review 2019: Is Fused Network a Good Hosting? Established in 2003, Fused Network is a web hosting vendor based in the United States. The company prides themselves on customer retention, largely because of their high-quality web hosting services packed with a number of forward-looking features. Fused Network is a web hosting company based in Tennessee. This U.S.-based company provides hosting solutions to small and medium-sized businesses in over 34 countries the world over. 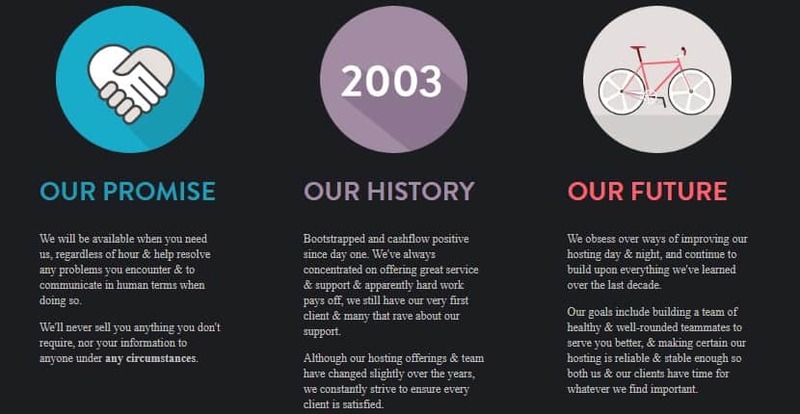 They began their operations in 2003 and have proudly managed to retain their very first client to this day. Fused Network now has over 8,000 customers and hosts over 10,000 websites. Global Anycast DNS Cluster – Fused Network’s DNS is distributed around the world and offers as much as 20 times faster speeds than the standard DNS in use by most web hosting providers. Nightly backups – Fused Network conducts nightly account backups and retains these backups for a whopping 75+ days. This extended retention period is far longer than the industry average and affords their users incredible peace of mind. 90-day money back guarantee – Fused Network has one of the longest money back guarantees in the hosting industry. This satisfaction guarantee is the company’s unwavering commitment to delivering second-to-none hosting solutions to small and medium-sized business anywhere in the world. You’ll get a 100% refund, no questions asked. One downside of Fused Network is that they don’t really have a large selection of plans. They’ve got a single shared hosting plan, a single semi-dedicated hosting plan, and a selection of dedicated servers that are customized for your business requirements — but for which you have to contact them to get a quote. If their existing shared and semi-dedicated hosting plans don’t fit you, you’re out of luck. While it’s quite clear that Fused Network is confident in their service offerings, their price tags are pretty high. For some, it would be hard to justify some of the prices that Fused Network charges for their hosting solutions, regardless of how good their offerings may be said to be. All the same, for business organizations willing to pay more for time-tested hosting solutions from a company that really knows their stuff, then these expensive packages might still make sense. Fused Network has made available to their customers several ways through which they can contact customer support. These include email, a ticket system, and even a postal address. Fused Network doesn’t provide customers with a support phone number, but you can use their contact form to request them to call you. This can be quite inconvenient for some users, however. What’s more, they have no live chat on their website. When I submitted a support ticket, the Fused Network support team got back to me within 48 hours. This seemed extremely long, but luckily my issue wasn’t particularly pressing. If you do have an urgent matter you need help with, you can mark your emergency messages as high priority to alert the support team to address the issue quickly. From their 90-day money back guarantee to their nightly backups, Fused Network delivers excellent web hosting solutions to small and medium-sized businesses. However, their plans are surprisingly expensive, which makes them rather unfriendly to startups and small enterprises with limited budgets. Wondering how Fused Network stacks up against other Web Hosting companies? Enter any other Web Hosting company and we will give you a side-by-side comparison.